You can help support protection of wolverine under the Endangered Species Act in just 5 minutes, but you must do so by May 6! Just follow the easy link below to let U.S. Fish and Wildlife Service know how you feel about its proposal to list the wolverine as “threatened” by climate warming, trapping and fragmented habitat! B. Enter FWS-R6-ES-2012-0107 in the Search Box. C. On the resulting page, hit the Comment Now button. 1. List the wolverine as “endangered” rather than “threatened” to provide greater protection under the ESA. 2. 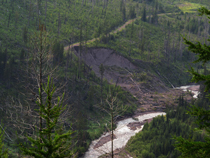 Identify snowmobiling and logging as clear threats to wolverine and their secure use of the deep snow pack and old forests they depend on to survive and raise young. 3. Permanently ban the trapping of wolverine, as proposed. When done, simply hit the Submit button! To learn more about USFWS’s listing proposal see pages 2 and 3 of our Winter-Spring 2013 newsletter. To see our comments and photos showing USFWS how snowmobiling threatens wolverine on the Flathead National Forest, click here. To see more comprehensive comments submitted on behalf of Swan View Coalition and 24 other groups by the Western Environmental Law Center, click here. 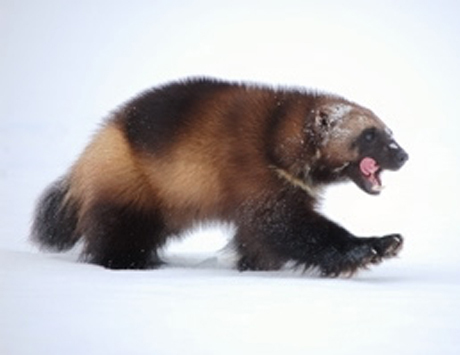 THANK YOU for taking 5 minutes to help wolverine, an increasingly rare critter endangered by climate warming, logging, snowmobiling, and “sport” trapping!